It's 2015 and former Calgary Stampeder/professional wrestler Dwayne "The Rock" Johnson is one of the world's biggest movie stars. It's surprising, perhaps, but it's a fact of life. As such, he continues to sign on for more potential blockbusters. After recent news that he was in talks for a Big Trouble in Little China reboot, the eyebrow raising actor has signed on for an even weirder remake. 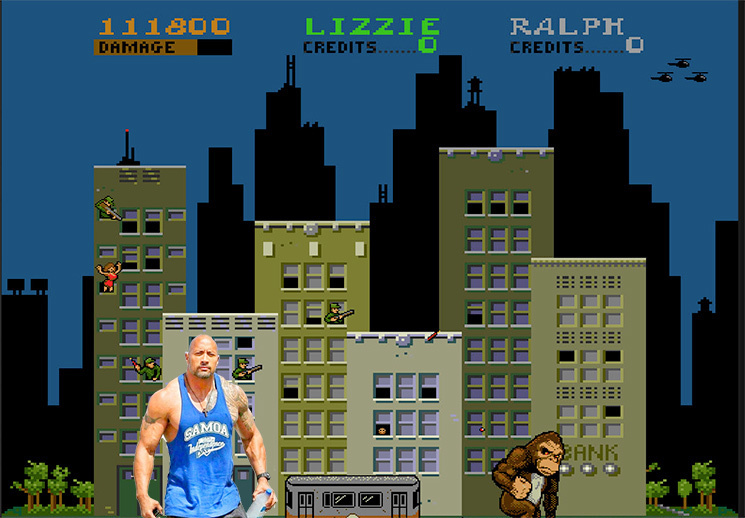 As Deadline reports, the actor has signed on for a movie adaptation of the Midway arcade classic Rampage. Johnson's role is unclear, and we're hoping he'll play one of the giant animals wreaking havoc on a major city. Either way, he's the star, and the film is being scripted by Ryan Engle (who previously wrote Non-Stop). Producers are currently looking for someone to direct the project. Production on Rampage is set to begin next summer.